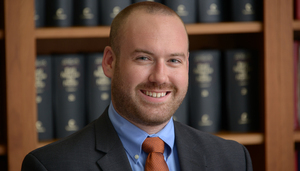 Chris Galligan is an associate at Rakoczy Molino Mazzochi Siwik LLP. He holds a Bachelor’s degree in Molecular and Cellular Biology. Mr. Galligan is involved in the firm’s Hatch-Waxman litigation practice, including representing clients beginning with drafting discovery requests and continuing through dispositive motion practice. Prior to joining Rakoczy Molino Mazzochi Siwik LLP as an associate, Mr. Galligan worked at the firm as a law clerk while enrolled in law school. He also has experience as a law clerk at Greer, Burns & Crain, where he focused on patent prosecution and overseas trademark enforcement. Before joining the legal profession, Mr. Galligan worked as a laboratory technician at DNA Polymerase Technology, Inc. He focused his work on the optimization of a specialized Taq DNA polymerase used to detect small amounts of DNA in soil in order to efficiently test the soil for pests and pathogens. Case Summary and Analysis, FTC v. Watson Pharmaceuticals Inc., 677 F.3d 1298 (11th Cir. 2012), 23 DePaul J. Art, Tech. & Intell. Prop. L. 491 (2013).